There is no strategy or system to win POD games. The computer is programmed to ensure that every outcome is completely unpredictable. There’s no actual way to determine when your game will be a winner. Can a game be “due” for a win? There is no pre-determined point at which a POD game or player device will yield a win and no set intervals at which they pay out. The computer is programmed to guarantee that all outcomes are unpredictable. Avoid the trap of continuing to play POD games because you think they will eventually pay out. Because it’s impossible to predict the outcome of a game, your chances of winning remain the same no matter how long you play or which player device you play on. Continuing to play a POD game because you think you’re due for a win is a recipe for busting your budget and taking the fun out of the game. There’s no guarantee you’ll win. How can I increase my play time? Slow down your rate of play. POD games are fast-paced games where the rate of play is quick. The best way to make the most of your budget is to take the occasional break. Maximum bets have the potential to drain your funds quickly. Keeping your wagers low will help to make your budget last longer. 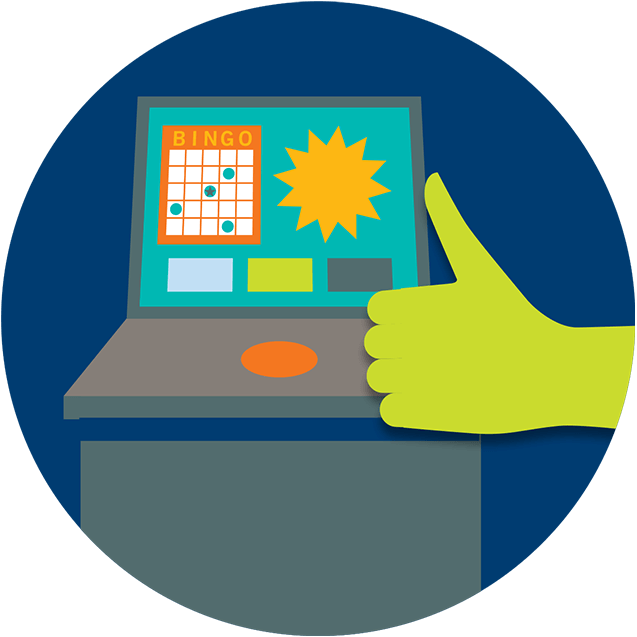 Charitable Bingo & Gaming Centres are a great place to meet up with friends. Keep the focus on fun, not on making money. Be sure to stick to your entertainment budget and not spend money you’ll need for everyday expenses. There’s no special way to beat the odds, so avoid chasing your losses, accept them as a cost associated with having fun.